HOLLAND, SAMUEL JOHANNES, army officer, military engineer, surveyor, office holder, politician, and landowner; b. 1728 in Nijmegen, Netherlands; d. 28 Dec. 1801 at Quebec, Lower Canada. Samuel Johannes Holland entered the Dutch artillery in 1745 and served during the War of the Austrian Succession. He was promoted lieutenant in 1747, following the siege of Bergen op Zoom, Netherlands. On 31 Aug. 1749 he married Gertrude Hasse at Nijmegen, and the following year they had a daughter, who may have died in infancy. However, possibly having made contact with the Duke of Richmond, Holland in 1754 emigrated to England to seek advancement under the British flag, leaving Gertrude in the Netherlands. 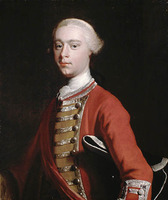 By March 1756, with the duke’s aid, he had received a commission, backdated to 29 Dec. 1755, as lieutenant in the Royal Americans (62nd, later 60th, Foot) in which the Earl of Loudoun was colonel-in-chief and Frederick Haldimand a lieutenant-colonel. Holland came to North America with Loudoun in early 1756. With the help of others, he prepared a map of New York province that would be widely used for 20 years. 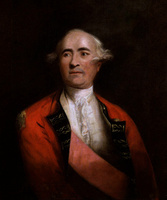 Promoted captain lieutenant in 1757, he was assigned to reconnoitre Fort Carillon (near Ticonderoga, N.Y.), but early in 1758 he was transferred as assistant, engineer to the expedition against Louisbourg, Île Royale (Cape Breton Island). 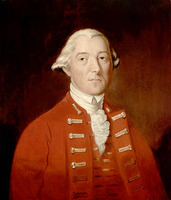 Under the command of Brigadier-General James Wolfe*, he surveyed the ground adjacent to the fortress, took soundings, prepared plans, and gave engineering advice during Wolfe’s operations against the town before its capitulation on 27 July. Having been constantly under fire, he was highly commended by Wolfe to Richmond for his bravery and technical competence. Afterwards, Holland surveyed the fortifications, the town, and the surrounding territory. That winter he and his new survey pupil, James Cook*, drew a chart of the St Lawrence gulf and river in preparation for the attack on Quebec. Holland also plotted surveys and made plans in Halifax, N.S., and supervised the construction of Fort Frederick (Saint John, N.B.). 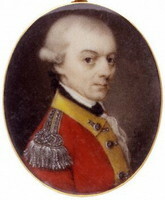 Promoted captain on 24 Aug. 1759, he participated actively that summer in the siege of Quebec. He narrowly escaped death on one occasion when his boats were run down by a schooner. During the battle of the Plains of Abraham on 13 September, he returned wounded to Wolfe’s side from dangerous engineering operations only to find him dying. At the battle of Sainte-Foy the following spring Holland temporarily replaced the wounded chief engineer, Patrick Mackellar*. After the French siege was lifted, he was employed in surveying the settled parts of the St Lawrence valley [see John Montresor*] and in drawing up plans for a new citadel at Quebec. In 1762 Holland took his maps to London, where he submitted a proposal to the Board of Trade for a survey of all British possessions in North America in order to facilitate settlement. It was finally accepted in February 1764 and, along with his surveys and an excellent recommendation from Governor Murray*, earned him the appointment on 6 March of surveyor general of the province of Quebec, with a salary of £365 per annum. When he offered to fill the post of surveyor general of the Northern District of North America at no increase in salary, the authorities were quick to accept. On 23 March he received instructions to survey all British possessions north of the Potomac River, beginning with St John’s (Prince Edward) Island, the Îles de la Madeleine, and Cape Breton Island because of their importance for the fisheries. Before proceeding to St John’s Island, Holland delivered to Murray at Quebec the British government’s instructions for organizing the civil government of the colony. Murray appointed him to the newly established Council of Quebec on 13 Aug. 1764; the following month he was named a justice of the peace. After appointing John Collins* to direct surveying in the province during his absence, Holland left for St John’s Island, where he arrived early in October. Armed with a wide range of scientific instruments and assisted by the deputy surveyor, Thomas Wright, and a number of engineer officers, volunteer apprentices, non-commissioned officers, and privates, Holland conducted his survey of St John’s Island under harsh climatic conditions. He divided it into counties of approximately 500,000 acres, parishes of around 100,000 acres, and townships of about 20,000 acres, surveying them with precision by fixing latitudes and longitudes from astronomical observation; he also took careful soundings in coastal waters. 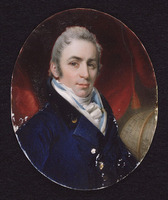 On maps and in accompanying reports he recorded the principal rivers and harbours, and established the sites of projected towns, including the capital, which he named Charlottetown. He analysed possible land uses around these sites, providing a detailed account of forest resources, plant life, and the quality and extent of the soils, as well as an assessment of the climate, particularly for agriculture. By October 1765 he was able to send the first of his maps and reports to England, where they renewed an interest in land speculation that had manifested itself the previous year [see Walter Patterson*]. When the Island was apportioned by lottery in 1767, Holland received Lot 28. That year he sent a few farmers and disbanded soldiers to settle it, and by 1798 there were 136 people living there. As an absentee landlord, Holland collected little rent from the tenant farmers during his lifetime. 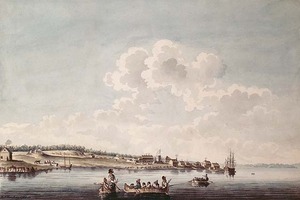 In 1765 Holland had surveyed the Îles de la Madeleine with Lieutenant Peter Frederick Haldimand*; they then moved on to Cape Breton Island, where work had been begun by Charles Morris* in 1764. It was divided in the same manner as St John’s Island. The completed maps and reports, which Holland had sent to London by July 1767, indicated that in addition to its fisheries Cape Breton was valuable chiefly for its coal, building stone, and gypsum, although it was also suited in a few areas to agriculture. As on St John’s Island, Holland’s survey was intended to be the basis for land grants, but long after his report was approved settlers continued to receive mere licences of occupation rather than full title-deeds. In 1768 Holland expressed the view that Cape Breton Island could not develop its resources energetically as long as it remained administratively dependent on Nova Scotia; it was separated from that colony in 1784. While the survey on Cape Breton Island was being finished, in 1767 Holland’s survey parties were working in the Gaspé around Baie des Chaleurs and on Anticosti Island. Work was also carried out in the late 1760s on both shores of the lower St Lawrence River. In 1767 Holland had proposed that British explorers look for a northwest passage from the Atlantic Ocean to the Pacific, but he received little encouragement for the project. Holland made his home at Louisbourg for much of the period 1765–67. 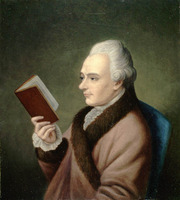 Possibly as early as 1762 at Quebec he had begun living with Marie-Joseph Rollet, then 21 years old, and their first child, John Frederick*, was born on St John’s Island. In January 1768 Holland wrote to Haldimand, “You must know my Dear General that I have Carryed the jock too far with my Little Bedfellow as I have got now, besides little St. Johns Jack and Louisburgh Henry . . . what has most Spoiled Sport . . . a little Girl last for a Christmas Box.” By September 1769 another girl had been born, and the couple wished it were in Holland’s power to make Marie-Joseph his wife “for the children’s sake.” His separation from Gertrude Hasse had been amicable and, except in 1763 and 1770, Holland recognized an obligation by paying her an annual allowance from 1756 to 1780. (Her petition in 1784 to the British government to have him renew payments was unsuccessful.) 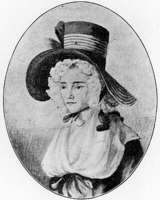 During 1772, however, he secured the opinion of judges and the attorney general in New Hampshire that a marriage with Marie-Joseph would be legal, and it is likely that it was contracted soon after. 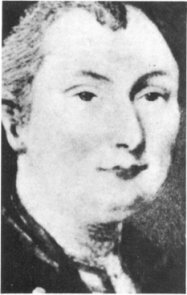 By May 1773, when the brood counted three boys and four girls, Holland was referring to their mother as his “little wife.” They would eventually have ten children. By the autumn of 1767 Holland was residing at Quebec, where in October 1766 he had been granted a small lot adjacent to the Château Saint-Louis. The following year he purchased six lots and a residence on the Côte Saint-Jean for about £400 from the heirs of Jacques de Lafontaine* de Belcour; by May 1769, when he made four small loans totalling about £120, he was residing in the house. He bought land near the Saint-Jean gate in March 1770, and about this time he was renting his home, called Holland House, to Advocate General George Suckling*. While at Quebec Holland participated in the proceedings of the council, and he was appointed to committees dealing with land, roads, and public works. He also served on the public accounts committee and in 1768 on a board set up to determine whether George Allsopp, suspended from several offices he had purchased, should be allowed to take them up. Holland apparently did not reside long at Quebec; by 1770 he was directing survey parties in the enormous task of mapping Atlantic coastal lands from the Saint John River (N.B.) to New York City in the context of a project to supply the British government with the best possible maps of the Atlantic seaboard at a time when her American colonies were drifting toward revolution. 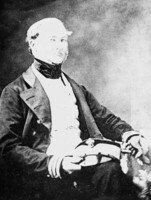 Simultaneously, and theoretically in collaboration with Holland, Joseph Frederick Wallet DesBarres* was employed by the Admiralty in conducting excellent, but more laborious, hydrographic surveys around Nova Scotia. Early in 1775 the Board of Trade regretted that Holland was depending on DesBarres’s surveys in order to complete “the General Map we have been so impatient for.” As a result, before the outbreak of the American Revolutionary War, the board had received from Holland many excellent detailed maps but no general survey. In the course of their work in the Atlantic colonies, Holland and his colleagues put to use instruments, newly developed in Britain, such as the astronomical clock and the refracting telescope. Holland produced the first accurate map of New Hampshire and advocated the separation of Maine from Massachusetts, recommending the Saint John River as the boundary with Nova Scotia. 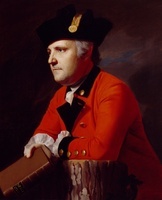 In 1769–70 he served on the New York–New Jersey boundary commission, and in 1774 he was a representative for New York on a commission to settle its boundary with Pennsylvania. He was preparing to run the boundary line between New York and Massachusetts when the revolution broke out. During this period Holland lived at Portsmouth, N.H., until 1773, when he moved to Perth Amboy, N.J. As a measure of security for his family, he sold his army commission in 1772, realizing £1,500, which he banked at New York City. By the time the revolution began, he had obtained 3,000 acres of land in New Hampshire and 24,000 acres in Vermont. He thus had ties to the American colonies and offers were made to him to join the revolutionaries, who valued his skills. But his entire career had been linked to Britain and, leaving his family in hiding at Perth Amboy, he fled to England in 1775. During his stay in London he cooperated with DesBarres, then working on a compilation of charts and sailing directions for North American coastal waters that were published in various forms from 1777 as The Atlantic Neptune. . . . On 4 Jan. 1776 he was commissioned a major in the army, and later that year, as a British aide-de-camp, he accompanied the commander of the Hessian troops, Leopold Philipp von Heister, to America. Holland appears to have seen action near New York City, and in March 1777 he organized a colonial unit called the Guides and Pioneers. The British government’s decision to make extensive land grants to loyalists after the American revolution made it necessary to reduce routine work in the settled areas in order to accelerate the surveying of vast tracts never before considered for settlement in the region that was to become Upper Canada. In order to report on suitability for habitation, in May and June 1783 Holland inspected lands around Cataraqui (Kingston, Ont.) and sent a small party, including James Peachey*, to the Niagara region. Holland’s relatively favourable reports led to large-scale surveying on the upper St Lawrence, on the north shore of Lake Ontario westward from Cataraqui, in the Niagara peninsula, and along the Detroit River opposite Detroit (Mich.). There being a need for the quick production of farm lots, Holland ordered the laying out of townships divided into concessions, in turn divided into lots, which were to be awarded by ballot without regard to land quality. Most of the work in the new areas fell to Collins. After visits to them in late 1783 and the spring and summer of 1784, Holland was increasingly confined by failing health and paper work to the Quebec office, where he supervised at a distance survey teams from the Gaspé to Detroit; however, he was able to make trips to Britain in 1784 and 1787. 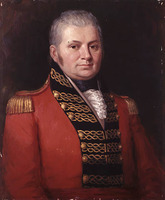 In 1792 responsibility for surveys in the western regions passed to the Surveyor General’s Office for Upper Canada, and Holland’s deputies turned their attention to the new, or eastern, townships of Lower Canada, for which claims to grants were soon flooding into the Executive Council [see Robert Prescott]; 22 townships were surveyed during the succeeding decade. Holland’s health continued to alarm him. An attack of palsy, probably in 1790, prevented him from carrying out his duties fully until March 1792; in April John Graves Simcoe noted, “Poor Holland, that good and faithful servant of the Crown, is worn out in body, tho’ in full possession of his intellect.” Holland was, moreover, omitted from the new Legislative Council, formed in 1792, and he thus lost the councillor’s salary of £100 per annum. From 1796 he began leasing his farm to others. In April 1801 he transferred the entire duties of the Surveyor General’s Office to William Vondenvelden, who had been performing them for several years past, and promised him one-half of the surveyor general’s fees and more than 5,500 acres of land in Kingsey Township as compensation. The previous month Holland had gathered 39 associates, according to the system of township leaders and associates [see James Caldwell], to petition for Kingsey, which comprised 64,000 acres on the Rivière Saint-François. For his part, Vondenvelden promised to use his influence to obtain another grant for Holland. The latter’s lingering illness, however, had reached its final stages; he died at Holland House on 28 Dec. 1801. Three days later, after the funeral service at the Anglican church, his body was escorted to the farm by a band, a detachment of 200 soldiers, and numerous dignitaries. He was buried beside a son, Samuel Lester, killed at age 19 in a duel in which he had used a pair of pistols given to Holland by Wolfe. If Holland’s debts at his death amounted to only a little over £100, his movable property was assessed at less than £300. It included nearly 150 maps and 17 atlases as well as a varied library of well over 100 titles, embracing geography and modern history, military and naval subjects, classics, philosophy, political thought, language, and literature. Holland also left 32 original engravings and more than 60 oil paintings; one-half of them portraits; some of the paintings were probably by his own hand. In 1792 Mrs Simcoe [Elizabeth Posthuma Gwillim*] had admired his “fine prints of Italy and Mount Vesuvius,” and he appears to have befriended the artist William Berczy, who described him in 1799 as “this respectable old man” and “good old Holland,” always so sensitive to the desires of others. Most of Holland’s atlases, books, and paintings were purchased by his Sainte-Foy neighbour, Henry Caldwell, or by Joseph Bouchette*, step-nephew of Marie-Joseph and Holland’s eventual successor as surveyor general. Holland also left extensive property holdings; in 1805, moreover, his family was granted some 11,000 acres in Kingsey Township. Samuel Johannes Holland holds an important place in the history of Canadian science and technology for his role in setting high standards of accuracy in land measurement and mapping, for his contributions to astronomy and geography, and for the training in surveying and cartography which he provided directly or indirectly to so many. In the northeastern United States he won fame for his mapping and contributions to boundary settlements. In Prince Edward Island he is remembered as a founder of the colony and revered by some as an ancestor, his son John Frederick (and from about 1802 his widow, Marie-Joseph) having taken up residence there; his maps and reports remain important sources for the historical geography of the Island and of Cape Breton. At Quebec, as a politician he was a reliable, well-read defender of conservative values, but it is the many maps and the layout of townships in Upper and Lower Canada under his competent administration that constitute the chief legacy of the Canadian career of this great surveyor and cartographer. The topographical name “Holland” in several provinces is a reminder of the prominent role he played in the shaping of this country. 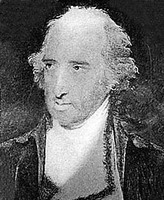 [Samuel Johannes Holland was the author of: “Observations made on the islands of Saint John and Cape Briton; to ascertain the longitude and latitude of those places, agreeable to the orders and instructions of the Rt Honourable the Lords Commissioners for Trade and Plantations”; “Astronomical observations . . .”; “A letter to the astronomer royal . . . containing some eclipses of Jupiter’s satellites, observed near Quebec”; and “Astronomical observations . . . ,” published in the Royal Soc. of London, Philosophical Trans. (London), 58 (1768): 46–53; 59 (1769): 247–52; 64 (1774): 171–76; and 64 (1774): 182–83 respectively. He was apparently also the author of Miscellaneous remarks and observations on Nova Scotia, New Brunswick, and Cape Breton; supposed to be written by the surveyor general of Nova Scotia (Boston, 1794). His report of 1768 on Cape Breton Island, along with his correspondence relating to the survey and other documents, were edited by Daniel Cobb Harvey* and published at Halifax in 1935 under the title Holland’s description of Cape Breton Island and other documents. The National Map Coll. at the PAC holds originals of Holland’s maps as well as photocopies of many others located in the ANQ-Q; G.B., Ministry of Defence, Hydrographic Dept., Admiralty Arch. (Taunton); PRO; BL; British Museum (London); Clements Library; and Library of Congress (Washington). The DCB should like to acknowledge assistance generously provided it by Mr Wim Van Veen of Toronto. Algemeen Rijksarchief (The Hague), Raad van State, no.1538: f.220. ANQ-Q, CE1-61, 28 Dec. 1801; CN1-25, 27 sept. 1784; CN1-83, 8 sept., 11, 21 oct. 1784; 19 sept. 1785; 19 oct. 1787; 31 janv., 11 mai, 23 sept. 1789; 15 janv., 30 juin, 12, 16, 28 août, 16 sept. 1790; 15 janv. 1791; CN1-92, 3 mars 1791; CN1-157, 5 mars 1801, 20 sept. 1805; CN1-209, 9 sept. 1762; 22 oct. 1767; 7, 30 mai 1770; 25 sept. 1772; CN1-250, 2 mai 1769; CN1-253, 18 Feb. 1826, 13 March 1827; CN1-256, 8 June 1792; 13 June 1795; 7 Jan. 1796; 2 Feb., 5, 27 April 1797; 25 April 1801; CN1-262, 20 juin 1801; CN1-284, 14 oct. 1800; 27 oct. 1801; 19, 29 janv., 8 févr. 1802. Dalhousie Univ. Arch. (Halifax), ms 2-33. Municipal Arch., Nijmegen (Netherlands), vital statistics, 31 Aug. 1749, 24 June 1750. PAC, MG 11, [CO 42] Q, 17: 324–27, 742; 56: 852; MG 23, A4, 64: 60 (copy at PAC); B14; MG 24, K2, 6: 1–2, 17–23, 241–46, 267–71, 278–80; RG 1, E1, 1–7; RG 1, L3L: 52575–640; RG 8, I (C ser. ), 600: 92; 604: 164; RG 14, A1, 2; 4. PRO, AO 3/140: 63, 104; CO 5/51: 126; 5/70: 19–26; 5/71: 133–36; 5/74: 263–66; 5/75: 201–4; CO 42/16: 230, 259; 42/55: f.399v. (copies and mfm. at PAC). Docs. relating to constitutional hist., 1759–91 (Shortt and Doughty; 1907), 48, 50, 277, 279, 854–57. Documents relating to the colonial, revolutionary and post-revolutionary history of the state of New Jersey, ed. W. A. Whitehead et al. (42v., Newark, N.J., 1880–1949), 9, 10. Gwillim, Diary of Mrs. Simcoe (Robertson; 1911), 57. Knox, Hist. journal (Doughty), 2: 391n. Military affairs in North America, 1748–1765: selected documents from the Cumberland papers in Windsor Castle, ed. S. [McC.] 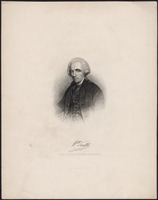 Pargellis (New York and London, ; repr. [Hamden, Conn.], 1969), 364, 439n., 446. [William Berczy], “William von Moll Berczy,” ANQ Rapport, 1940–41: 16–17. [James] Murray, Governor Murray’s journal of Quebec, from 18th September, 1759, to 25th May, 1760 ([Quebec and Montreal, 1871]), 27. NYCD (O’Callaghan and Fernow), 7: 845. Smith, Diary and selected papers (Upton), 2: 145–46, 167, 169, 181. Quebec Gazette, 4 Oct. 1764; 12 Nov., 3 Dec. 1767; 22 March 1770; 12 Sept. 1771; 19 March 1772; 5 Aug. 1786; 11 Dec. 1788; 10 Sept. 1789; 19 Dec. 1793; 3 July 1794; 6 April 1797; 5 Feb. 1800; 7 Jan., 4 Feb. 1802. Biblio. of Canadiana (Staton and Tremaine), no.671. G.B., WO, Army list, 1756–1800. Richard Brown, A history of the island of Cape Breton, with some account of the discovery and settlement of Canada, Nova Scotia, and Newfoundland (London, 1869), 352. Duncan Campbell, History of Prince Edward Island (Charlottetown, 1875; repr. Belleville, Ont., 1972), 3–17. A. H. Clark, Three centuries and the Island, a historical geography of settlement and agriculture in Prince Edward Island, Canada (Toronto, 1959), 44–47. G. N. D. Evans, Uncommon obdurate: the several public careers of J. F. W. DesBarres (Toronto and Salem, Mass., 1969), 11–13, 23, 62. [C.-N.] Gabriel, Le maréchal de camp Desandrouins, 1729–1792; guerre du Canada, 1756–1760; guerre de l’Indépendance américaine, 1780–1782 (Verdun, France, 1887), 323–28. Andrew McPhail, “The history of Prince Edward Island,” Canada and its prov. (Shortt and Doughty), 13: 332–36. 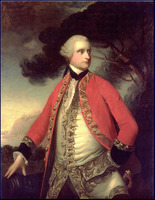 L. S. Mayo, John Wentworth, governor of New Hampshire, 1767–1775 (Cambridge, Mass., 1921), 43–44. W. A. Russ, How Pennsylvania acquired its present boundaries (University Park, Pa., 1966). Henry Scadding, Surveyor-General Holland; a notice of Samuel Holland, first surveyor-general of lands for the northern district of North America . . . (Toronto, 1896). Abraham Wolf, A history of science, technology, and philosophy in the eighteenth century (London, 1938), 122–23, 144–45. F.-J. Audet, “Samuel Holland,” Cahiers des Dix, 23 (1958): 187–94. N.-E. Dionne, “L’arpentage en Canada: le major Samuel Holland, 1764–1801,” Le Journal (Montréal), 6 oct. 1900: 3. N. N. Shipton, “General James Murray’s map of the St Lawrence,” Cartographer (Toronto), 4 (1967): 93–101. W. A. Whitehead, “Northern boundary line: the circumstances leading to the establishment, in 1769, of the northern boundary line between New Jersey and New York,” N.J. Hist. Soc., Proc. (Newark), 8 (1856–59): 157–86. F. J. Thorpe, “HOLLAND, SAMUEL JOHANNES,” in Dictionary of Canadian Biography, vol. 5, University of Toronto/Université Laval, 2003–, accessed April 20, 2019, http://www.biographi.ca/en/bio/holland_samuel_johannes_5E.html.